Virgin Trains will no longer run on Britain's railways after the UK Government disqualified its bid to continue operating services on the West Coast Main Line. Perth-based Stagecoach, which partners Virgin Group in running Virgin Trains, has been banned from three franchise competitions in a row over pensions. The decision by the Department for Transport (DfT) means the operator's bid to run trains after its current deal expires in March 2020 has been barred. Virgin Group boss Sir Richard Branson wrote in a blog post that he was "devastated" by the Government's decision, claiming that Virgin Trains is "one of the best train companies in the UK, if not the world". 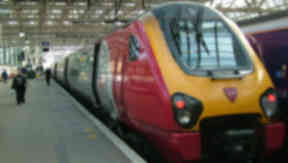 Virgin Trains has run West Coast services since 1997 and has been praised for introducing a number of passenger benefits such as automatic delay compensation payments, scrapping Friday afternoon peak ticket restrictions and launching free on-board entertainment system Beam. Latest research by Transport Focus found that the operator has a 90% customer satisfaction rating, which is the highest for all long-distance franchises. Sir Richard wrote: "Running the railway comes with many challenges and the West Coast Main Line was struggling when we took it over, but we were determined to turn it around. "With new trains, new track and our incredible team, we have become renowned for the award-winning way we look after our customers." He added: "We are still looking closely at the decision and we are now considering our options." A joint bid had been entered by Virgin, Stagecoach and SNCF. The Scottish firm's chief executive Martin Griffiths said: "We are extremely concerned at both the DfT's decision and its timing. The department has had full knowledge of these bids for a lengthy period and we are seeking an urgent meeting to discuss our significant concerns.